When it comes to giclee printmaking, few shops have the years of experience or expertise of GicleeArt.com. 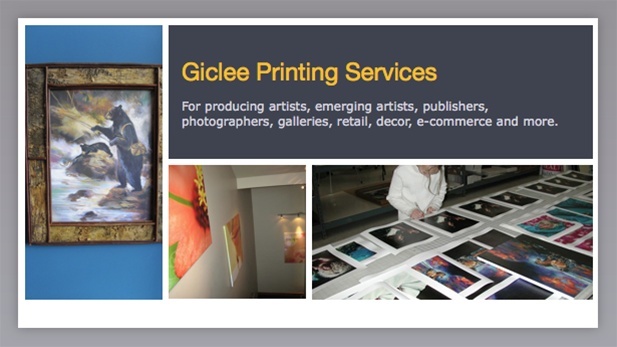 Back in 1996 we started our business as digital fine art printers-- giclee printing is our business and we take pride in being very good at it. We provide products with excellent quality, at prices and available discounts that provide real value, together with reliable, personalized and quick service. Our production facility located in beautiful Coeur d'Alene, Idaho is state of the art. We run some of the best equipment available and continually reinvest in the latest ink, printing and production equipment. Jobs of a few prints or 1,000's is no problem. Files are archived and additional prints can be reordered as needed. To produce prints that have no digital printing signature, that will not fade or otherwise deteriorate for 80+ years, prints that truly capture the essence of the original art is not an easy process. It takes the very best equipment and utmost skill. If you have been researching giclee printing companies online, it's likely that you are overwhelmed with all the choices. While there are other giclee printers doing good work, GicleeArt.com is considered among the best. Artists worldwide choose GicleeArt.com, so you can rest assured you're making a good decision. At GicleeArt.com - our guarantee is that we will not sell a print that we're not proud of. Our success depends on the success of our customers- it's win-win partnership. We're here for the long run and our reputation depends on it. DECOR PRINTING. Production art printing is our specialty. By utilizing heavy duty printing and finishing equipment, we can efficiently and quickly fulfill large orders. Whether it's fine art or high volume decor printing, GicleeArt.com is well equipped to handle the job. Not only is our print quality superb, you'll find our prices affordable and very competitive. Great quality doesn't have to be expensive. Be sure to consult with us on your next job.